Jim Simpson, Chair of the Board of Directors of Suncor Energy, has appointed Jacynthe Côté to the company's Board of Directors. Ms. Côté's appointment is effective immediately. "I'm pleased to welcome Ms. Côté to our Board," said Mr. Simpson. "Her extensive corporate experience, particularly in the mining sector, is an asset that will certainly serve Suncor well. 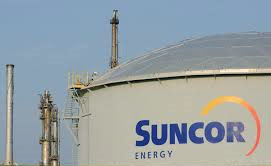 I look forward to working with her and other members of the Board in stewarding Suncor's shareholder interests." Jacynthe Côté was president and chief executive officer of Rio Tinto Alcan from 2009 until June 2014. She previously served as president and chief executive officer of Rio Tinto Alcan's Primary Metal business group, following Rio Tinto's acquisition of Alcan Inc. in 2007. Ms. Côté joined Alcan Inc. in 1988 and served in a variety of progressively senior leadership roles during her 26-year career, including positions in human resources, environment, health and safety, business planning and development and production/management positions in Québec and in England.